Indian River’s Ryan Stone tees off at Cripple Creek last year. After a slow start in which they fell behind 4-1 after 2 ½ innings, the Indian River High School softball team stormed back with an offensive explosion of seven third-inning runs, en route to a 12-4 win over visiting Red Lion Christian Academy last Saturday, April 14. Senior Braydee Whitman had a game-high four RBIs, to lead the Indians, while also contributing a three-hit performance. Savannah O’Shields had a pair of RBIs for the winners, and Damya Williams chipped in with two hits as well. Prior to the Red Lion game, the Indians had traveled up north to play perennial power Caraval Academy last Thursday night, April 12, and had suffered a 12-2 loss to the Buccaneers. Grace Snyder plated both runs for the Indians and also had a double, while Kayler Townsend had two hits for IR. A Henlopen Conference South Division tilt with Lake Forest on Monday, April 16, was postponed due to the weather. The rescheduled date was announced as Saturday, April 21, at 11 a.m. back at Lake Forest. A meeting with Sussex Tech is set for Friday, April 20. For information and results on those contests, check out the Coastal Point sports Facebook and Twitter pages. The Indians ventured north to take on the No. 1 team in the state on Saturday in Caravel Academy and returned home with a 8-0 setback to the Buccaneers. The Indians managed just four hits against two Caravel pitchers, with J.J. Killen and Cole Hitch each coming away with a hit and walk. Caravel scored two runs in the first before putting the game away with a six-spot in the fifth inning to erase any thoughts of an upset by the Indians. Killen, Aaron King and Brock Wingate all saw time on the bump for IR. Monday’s game at Lake Forest was postponed due to the heavy rains overnight Sunday into Monday. The make-up date was announced as Wednesday, May 16, at 4:15 p.m., back at Lake Forest. The Indians will face Sussex Tech on Friday, April 20. For details and results of the game, check out the Coastal Point sports Facebook and Twitter pages. The Indians’ Patrick Gogarty continued his season-long impressive play with another medalist performance. The sophomore shot a match-best 44 on the Heritage Shores front nine, to lead IR to a 187-227 win over Woodbridge. The top four Indians all shot better scores than Woodbridge’s best score. Isabel Wolfenbarger turned in her card with a 46. Ryan Stone followed with a round of 48, while Luke Morgan closed out the top-four effort with a 49. The Indians were set to host Milford on Thursday, April 19, (after Coastal Point press time). For information and results on those contests, check out the Coastal Point sports Facebook and Twitter pages. Reed Klemkowski’s only goal of the game could not have come at a better time for the Indians. The IR junior scored the game-winning goal in the 9-8 decision over host Delmar. Wyatt Kovatch led the Indians with three goals, while William Josetti added a pair of tallies. Klemkowski was joined by Thomas Harris, Ryan Furman, and John Martin in contributing one goal a piece. Josetti was also credited with four assists. Delmar had jumped out to a 4-1 lead after the first period, and held a 5-4 advantage at the intermission. The Wildcats increased their lead to 7-5 after three before the Indians stormed back for three goals in the fourth to force the tie after regulation. The Indians registered 38 shots in the game, and goalie Samuel Miltner made 12 saves to help the winning cause. IR had a game at Gunston Day School in Maryland on Tuesday, but no results were reported. A Henlopen Conference South Division meeting with Woodbridge was scheduled for Wednesday (after Coastal Point press time). A non-conference, Friday evening doubleheader with the girls’ lacrosse team up at Caravel Academy is also on tap. The boys are expected to start around 7 p.m. For information and results on those contests, check out our Facebook and Twitter pages. An offensive slugfest broke out in Tuesday afternoon’s non-conference meeting between the Indians and the Herons, with the hosts outlasting a late rally by IR to preserve a 23-18 win. Kealey Allison and Lexi Webb led the offensive effort for the Indians. Delaney Brannon, Sarandon Slebodnick, Drew Szlasa and Helen Davis also figured into the scoring for IR. Goalie Mya Parks faced a barrage of shots and was strong in front of the cage, despite the loss. The Indians will travel to Caravel Academy on Friday evening for a doubleheader with the boys’ lacrosse team. Game time is scheduled for 5:30 p.m. For information and results on those contests, check out our Facebook and Twitter pages. 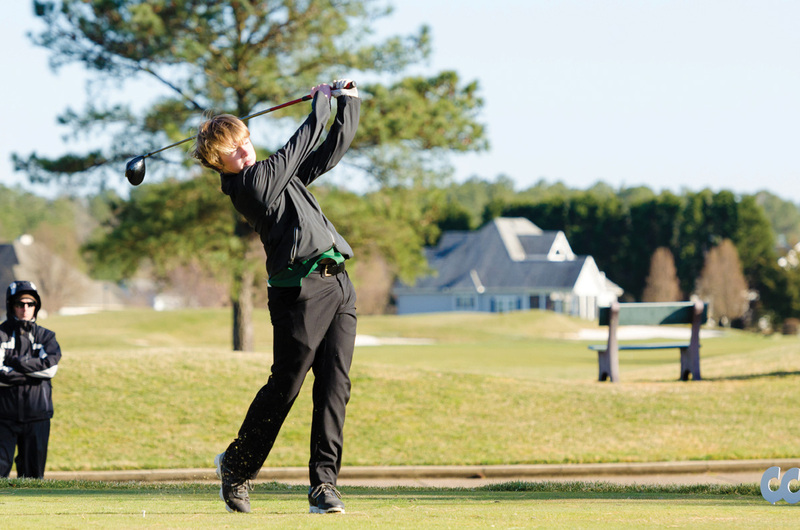 After a pair of wins last week in a tri-meet, over Laurel and Woodbridge, the Indians came up short of continuing their winning ways in a loss to Smyrna on Tuesday, April 17. Junior Tony Velasquez was a double-winner in his singles events for the Indians, picking up first-place finishes in the 1,600-meter and 3,200-meter events. Kashid Waples also was a winner in the 400-meter event. Velasquez joined teammates Jackson Donnelly, Christian Galindo Lopez, and Declan Burke to win the 4-by-800-meter event. Junior Sarah Roehl was the highest point producer for the Indians in a loss to visiting Smyrna Tuesday afternoon, April 17. Roehl finished second in both the 400-meter and 800-meter events. The Selbyville Middle School baseball team rolled over host Dover last Wednesday afternoon, 11-1. The Indians scored nine runs in the third inning en route to the lopsided win. Reece Stone and Finn Haley had singles in the big inning, while Frank Bunting and Dalton Hall smacked doubles. That quartet, along with John Williamson, all drove in runs during the third inning, with Hall’s bases-clearing shot scoring three Indians. Bunting had the ball on the bump, and went 2.2 innings with four strikeouts, while allowing just the one run on one hit. Selbyville racked up 11 hits on the day, and stole eight bases as well. In last Friday afternoon’s contest, Beacon Middle used a four-run sixth inning to overcome a two-run deficit and defeat the Indians, 10-8. It was the first loss of the season for Selbyville. Reece Stone had a pair of hits for Selbyville’s seven-hit offensive effort. Beacon took advantage of four Selbyville errors, while overcoming seven of their own. Jonathan Huffman and Nathan Bunting each drew a pair of walks at the plate for the Indians. Monday afternoon’s meeting with Sussex Academy at the Sports at the Beach Complex was postponed due to wet field conditions. This Monday, April 23, the Indians are back in action, again on the road, against Postlethwait at Camden-Wyoming Little League Complex (4:15 p.m.). Camryn Elhers pitched six innings of five-hit ball to help lead the Indians past Beacon. Elhers struck out seven and allowed just two earned runs in the circle. She was also 2-for-4 with an RBI at the plate. Jaya Shaub was 2-for-4 at the dish as well, with a RBI. Destiny Mitchell, Laniya Lewis, Macy Blades, Kelsie Morin, Raegan Kansak and Logan Marvel all contributed a hit for the Indians. Blades, Morin and Kansak were credited with RBIs as well. Selbyville lost their first game of the season 1-0 to Dover last Wednesday, April 11. Samantha Derrickson was the hard-luck loser for the Indians in that game, allowing just two hits and the lone run. Her double was one of just two hits for Selbyville in the loss. The Indians’ game with Sussex Academy on Monday, April 16, was postponed due to wet fields. They are back in action on Monday, April 23, against Postlethwait at Camden-Wyoming Little League Complex at 4:15 p.m.